Urea and carbohydrazide derivatives are important compounds exhibiting cytotoxic activities. In this study, a series of new urea and carbohydrazide derivatives containing an pyridine ring were synthesized and evaluated for cytotoxic activity. The proposed structures of the synthesized compounds were confirmed using elemental analysis, IR, and 1H-NMR spectroscopic techniques. The cytotoxic potencies of synthesized compounds were determined using a 3-(4,5-dimethylthiazol-2-yl)-2,5-diphenyltetrazolium bromide assay (MTT) on BRCA mutant-carrying HCC1937 and Capan-1 cell lines, as well as on MCF7, HeLa, and MRC5 cells. 3a, 3b, 3c and 3d showed cytotoxic activity against all cancer cell lines. Our data indicate that compounds 3a-d are more selective to cancer cells compared with nontumoral fibroblasts; however, these compounds are not more potent on HR defective cells with BRCA mutants. Wang et al.9 studied new benzimidazole-2-urea derivatives that decrease the proliferation of some cancer cells (HeLa, K562, HepG2) and reported that these molecules could be used as tubulin inhibitors. 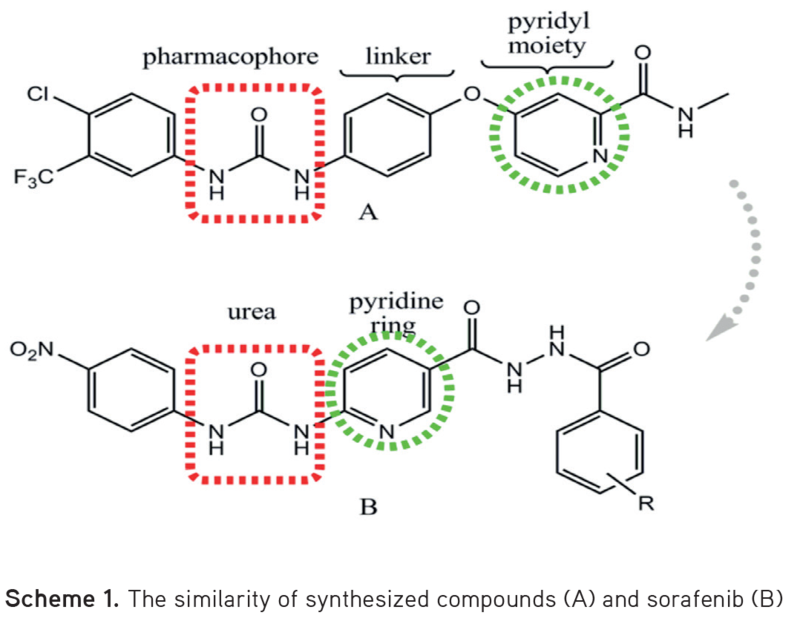 In another study, Fortin et al.10 discovered that compounds containing urea derivatives had greater antiproliferative activity than amide groups from their structure activity relationship. De et al.11 synthesized N’-(2-(4-substitute)cyclopropanecarbonyl)isonicotinohydrazide-containing carbohydrazide and a pyridine ring and evaluated their cytotoxic activity against A549, PC3, and U373 cells. Pyridine is an important ring system with numerous biologic activities. For example, Kurumurthy et al.12 selected pyridine derivatives to achieve cytotoxic activity against THP1, U937, HL60 and B16-F10 cells. 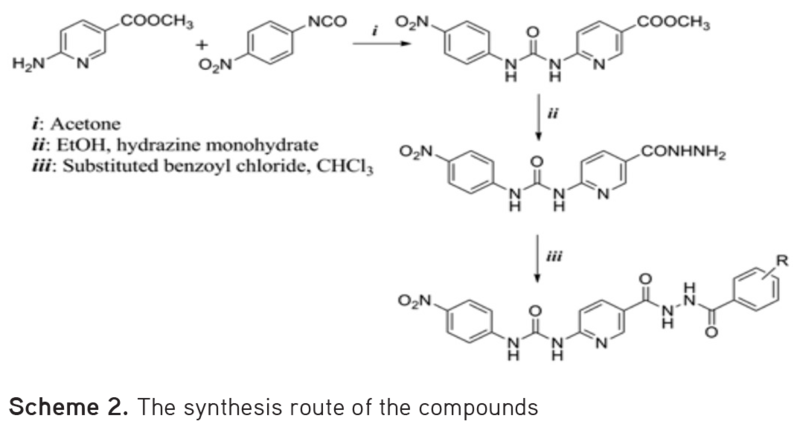 Using results obtained in the literature and pharmacophore analysis (Scheme 1), target molecules carrying urea and carbohydrazide derivatives were synthesized from methyl 6-aminopyridine-3-carboxylate and evaluated their cytotoxic activity against cancer cells (HCC1937, Capan1, MCF-7, HeLa and MRC5). All chemicals reagents and solvents were obtained from Sigma-Aldrich (St. Louis, MO, USA), and Merck (Darmstadt, Germany). The homogeneity and purity of the compounds were checked using thin-layer chromatography (TLC), performed on commercially available silica gel (Kieselgel 60, F254) coated aluminum sheets (Merck) by using petroleum ether:ethyl acetate (10:90 v/v) as the solvent system. Visualization on TLC was performed using ultraviolet light (λ=254 nm) and an iodine indicator. Melting points (MP) were determined using a Schmelzpunktbestimmer SMP II. IR spectra were recorded with a Shimadzu FTIR-8400S (Japan). 1H-NMR spectra were recorded on a Bruker Avance 400 MHz (USA) in DMSO-d6 using tetramethylsilane (TMS) as the internal reference. Chemical shifts (δ) were expressed in parts per million relative to TMS and the following abbreviations were used to describe the peak patterns when appropriate: s, (singlet); d, (doublet); t, (triplet); m, (multiplet). Elemental analysis (C, H and N) was performed on a CHNS-Thermo Scientific Flash 2000 (Waltham, MA USA). Yellow solid; Yield: 70%; MP: 237-239°C; IR (vmax cm-1): 3365, 3211 (N-H), 3080 (=C-H stretching), 2983, 2843 (C-H), 1708 (urea C=O), 1604, 1562, 1506, 1491, 1411 (C=C, NO2, N-H bending, C-N), 1273 (C-O), 839 (=C-H). 1H-NMR (DMSO-d6/TMS, 400 MHz, δ in ppm): 3.83 (s, 3H, -OCH3), 7.69-8.84 (m, 7H, Ar-H), 9.99 (s, 1H, NH), 10.73 (s, 1H, NH). For C14H12N4O5 (M.W. : 316.27 g/mol) calculated (%): C:53.17, H:3.82, N:17.71. Found: C:54.46, H:3.66, N:17.95. Yellow solid; Yield: 65%; MP: 274-275°C; IR (vmax cm-1): 3338, 3221 (N-H), 3078 (=C-H stretching), 1712 (C=O urea), 1678 (C=O hydrazide), 1620 (C=N), 1562, 1510, 1491, 1431 (C=C, NO2, N-H, C-N), 815 (=C-H). 1H-NMR (DMSO-d6/TMS, 400 MHz, δ in ppm): 4.48 (s, 2H, NH2), 7.71-8.87 (m, 7H, Ar-H), 9.93 (s, 1H, NH), 10.04 (s, 1H, NH), 10.78 (s, 1H, NH). C13H12N6O4 (M.W. : 316.27 g/mol) calculated (%): C:49.37, H:3.82, N:26.57. Found: C:51.05, H:3.97, N:25.25. Yellow solid; Yield: 70%; MP: 257-259°C; IR (vmax cm-1): 3304, 3207, 3122 (N-H), 3080 (=C-H stretching), 1712 (C=O), 1612, 1562, 1508, 1492 (C=C, NO2, N-H, C-N), 842 (=C-H). 1H-NMR (DMSO-d6/TMS, 400 MHz, δ in ppm): 7.67-8.84 (m, 11H, Ar-H), 9.69 (s, 1H, NH), 10.04 (s, 1H, NH), 10.84 (s, 2H, NH). C20H15FN6O5 (M.W. : 438.37 g/mol) calculated (%): C:54.80, H:3.45, N:19.17. Found: C:55.24, H:3.22, N:18.65. Yellow solid; Yield: 75%; MP: 202-203°C; IR (vmax cm-1): 3304, 3207, 3122 (N-H), 3080 (=C-H stretching), 1712 (C=O), 1612, 1562, 1508, 1492, 1431 (C=C, NO2, N-H, C-N), 842 (=C-H). 1H-NMR (DMSO-d6/TMS, 400 MHz, δ in ppm): 7.71-8.85 (m, 11H, Ar-H), 9.98 (s, 2H, NH), 10.73 (s, 2H, NH). C20H15ClN6O5 (M.W. : 454.82 g/mol) calculated (%): C:52.81, H:3.32, N:18.48. Found: C:52.75, H:3.48, N:18.44. Yellow solid; Yield: 80%; MP: 273-275°C; IR (vmax cm-1): 3215, 3124 (N-H), 3082 (=C-H stretching), 1714 (C=O), 1612, 1564, 1510, 1492 (C=C, NO2, N-H, C-N), 846 (=C-H). 1H-NMR (DMSO-d6/TMS, 400 MHz, δ in ppm): 7.68-8.85 (m, 11H, Ar-H), 9.62 (s, 1H, NH), 10.00 (s, 1H, NH), 10.74 (s, 2H, NH). C20H15N7O7 (M.W. : 465.38 g/mol) calculated (%): C:51.62, H:3.25, N:21.07. Found: C:52.33, H:3.12, N:20.66. Yellow solid; Yield: 70%; MP: 258-260°C; IR (vmax cm-1): 3369, 3215, 3122 (N-H), 3084 (=C-H), 1712 (C=O), 1612, 1566, 1492, 1481 (C=C, NO2, N-H, C-N), 1031 (C-Cl), 844 (=C-H). 1H-NMR (DMSO-d6/TMS, 400 MHz, δ in ppm): 7.78-8.68 (m, 10H, Ar-H), 9.43 (s, 1H, NH), 10.00 (s, 1H, NH), 10.75 (s, 2H, NH). C20H14Cl2N6O5 (M.W. : 489.27 g/mol) calculated (%): C:49.10, H:2.88, N:17.18. Found: C:50.35, H:2.97, N:16.85. Yellow solid; Yield: 65%; MP: 275-277°C; IR (vmax cm-1): 3369, 3205, 3122 (N-H), 3049 (=C-H stretching), 2987 (C-H), 1712 (C=O), 1610, 1562, 1508, 1492, 1431 (C=C, NO2, N-H, C-N), 844 (=C-H). 1H-NMR (DMSO-d6/TMS, 400 MHz, δ in ppm): 2.39 (s, 3H, -CH3), 7.47-8.81 (m, 11H, Ar-H), 9.45 (s, 1H, NH), 10.06 (s, 1H, NH), 10.77 (s, 2H, NH). C21H18N6O5 (M.W. : 434.41 g/mol) calculated (%): C:58.06, H:4.98, N:19.15. Found: C:57.23, H:5.05, N:18.56. Yellow solid; Yield: 75%; MP: 240-241°C; IR (vmax cm-1): 3207, 3122 (N-H), 3082 (=C-H stretching), 1712 (C=O), 1610, 1562, 1508, 1491, 1431 (C=C, NO2, N-H, C-N), 844 (=C-H). 1H-NMR (DMSO-d6/TMS, 400 MHz, δ in ppm): 7.45-8.81 (m, 11H, Ar-H), 9.36 (s, 1H, NH), 10.20 (s, 1H, NH), 10.84 (s, 2H, NH). C20H15BrN6O5 (M.W. : 499.27 g/mol) calculated (%): C:48.11, H:3.03, N:16.83 Found: C:47.48, H:3.25, N:16.92. Yellow solid; Yield: 70%; MP: 299-300°C; IR (vmax cm-1): 3333, 3271, 3213 (N-H), 3080 (=C-H stretching), 1712 (C=O), 1680 (C=O hydrazide), 1614 (C=N), 1564, 1489, 1431, 1411 (C=C, NO2, N-H, C-N), 1261 (C-F), 890 (=C-H). 1H-NMR (DMSO-d6/TMS, 400 MHz, δ in ppm): 7.64-8.84 (m, 11H, Ar-H), 9.75 (s, 1H, NH), 9.97 (s, 1H, NH), 10.72 (s, 2H, NH). C21H15F3N6O5 (M.W. : 488.38 g/mol) calculated (%): C:51.65, H:3.10, N:17.21 Found: C:51.48, H:3.25, N:16.92. Yellow solid; Yield: 75%; MP: 222-223°C; IR (vmax cm-1): 3275, 3171, 3117 (N-H), 3080 (=C-H stretching), 2978 (C-H asymmetric stretching), 2841 (C-H symmetric stretching), 1703 (C=O), 1662 (C=O hydrazide), 1633 (C=N), 1537, 1506, 1499, 1471 (C=C, NO2, N-H, C-N), 1327 (C-O), 824 (=C-H). 1H-NMR (DMSO-d6/TMS, 400 MHz, δ in ppm): 3.84 (s, 3H, OCH3), 7.05-8.84 (m, 11H, Ar-H), 9.79 (2s, 1H, NH), 10.45 (2s, 1H, NH), 10.72 (s, 2H, NH). C21H18N6O6 (M.W. : 450.40 g/mol) calculated (%): C:56.00, H:4.03, N:18.66 Found: C:56.48, H:3.25, N:18.92. Yellow solid; Yield: 70%; MP: 203-204°C; IR (vmax cm-1): 3271, 3213, 3124 (N-H), 3045 (=C-H stretching), 1712 (C=O), 1666 (C=O hydrazide), 1641 (C=N), 1602, 1562, 1506, 1489, 1431 (C=C, NO2, N-H, C-N), 846 (=C-H). 1H-NMR (DMSO-d6/TMS, 400 MHz, δ in ppm): 7.45-8.84 (m, 11H, Ar-H), 9.80 (2s, 1H, NH), 10.68 (2s, 1H, NH), 11.48 (s, 2H, NH). C20H16N6O5 (M.W. : 420.38 g/mol) calculated (%): C:57,14 H:3.84, N:19.99 Found: C:57.48, H:3.65, N:19.92. Yellow solid; Yield: 65%; MP: 277-278°C; IR (vmax cm-1): 3333, 3221 (N-H), 3080 (=C-H stretching), 1714 (C=O urea), 1680 (C=O hydrazide), 1641 (C=N), 1564, 1510, 1492 (C=C, NO2, N-H, C-N), 844 (=C-H). 1H-NMR (DMSO-d6/TMS, 400 MHz, δ in ppm): 7.63-8.83 (m, 11H, Ar-H), 9.79 (2s, 1H, NH), 9.97 (s, 1H, NH), 10.72 (s, 2H, NH). C21H15F3N6O5S (M.W. : 520.44 g/mol) calculated (%): C:48.46, H:2.91, N:16.15 Found: C:48.76, H:3.05, N:16.92. A human pancreatic adenocarcinoma Capan1 cell line, human cervix carcinoma HeLa cell line, human lung fibroblasts MRC5 cell line, human breast adenocarcinoma MCF7 and HCC1937 cell line were obtained from American Type Culture Collection (Bethesda), and maintained as exponentially growing monolayers by culturing according to the supplier’s instructions in a humidifier incubator at 37°C supplied with 5% CO2. All cell culture reagents were purchased from Biological Industries (Israel). The cytotoxic potencies of the test compounds were determined using a WST1 Cell Protliferation Assay (Roche) according to the manufacturer’s instructions. All tested compounds were dissolved in DMSO. Cells were seeded into a 96-well plate at a density of 5000 cells/well for HeLa, MCF7 and HCC1937, 7500 cells/well for Capan1 and 10,000 cells per well for MRC5. The next day, cells were treated with compounds with the final concentrations of 1, 2, 5, 10, 25 µM and incubated for 48 hours at conventional cell culture conditions. DMSO was used a negative solvent control, and doxorubicin was included in the study as a positive cytotoxic control compound. The ratio of surviving cells after compound treatment was determined using a colorimetric WST-1 assay (Roche) as indicated in the protocol provided by manufacturer. The absorbance was measured using a Varioscan microplate reader (Thermo) at 450 nm with a 620-nm reference filter. To determine the IC50 values, a sigmoid-dose response curve was fitted to the data using nonlinear regression on GraphPad Prism 5 software. This study did not need ethics committee approval because in vitro methods were used for biologic activity processes. The synthetic route to the target compounds is outlined in Scheme 2. The structures of the compounds (1, 2, 3a-j) were confirmed using IR, 1H-NMR, and elemental analysis. IR spectra of the compounds (1, 2, 3a-j) afforded N-H stretching (3115-3369) bands. IR spectra of all compounds (1, 2, 3a-j) were described C-H stretching (3045-3082), urea and carbohydrazide C=O stretching (1662-1714) bands, aromatic rings C=C stretching and NO2 stretching (1411-1604) bands. The NH protons of carbohydrazide and urea groups resonated as two different singlet peak at 9.36-11.48 ppm. The aromatic protons displayed a multiplet at 7.05-8.85 ppm. The elemental analysis of compounds was in agreement with the proposed structures of the compounds. It is known that some PARP inhibitors are highly-selective promising agents against cancer cells with homologous recombination (HR) DNA repair pathway deficiencies such as those harboring mutations on tumor suppressors BRCA1 or BRCA2 via generation of chromatid breaks, cell cycle arrest and apoptosis.16,17 Therefore, we included HCC1937 and Capan1, which are defective in BRCA1 and BRCA2, respectively. We aimed to compare the cytotoxicity of the compounds on these cell lines with their activities on HR-proficient cancer cell lines (HeLa and MCF7) and also a non-tumoral MRC5 fibroblast cell line. When the substitution pattern at the phenyl ring was determined, the effect of electron donor and electron acceptor groups on activity was considered. 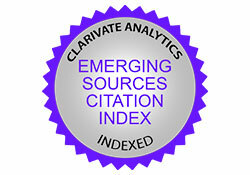 Therefore, methyl, methoxy, and halogens such as F, Cl, Br were selected as electron donors and a nitro group was selected as an electron acceptor. Our data suggest that only 3a having fluoro, 3b having chloro, 3c having nitro and 3d having 2,6 dichloro substituents had cytotoxic activities at the tested concentrations. The IC50 values of these compounds are given in Table 1. Compounds 3e-j showed less cytotoxic activity on all cancer cells compared with 3a-d. However, our results suggest that the compounds possessed no selectivity toward HR defective Capan1 and HCC1937 cells harboring BRCA mutations compared with MCF7 and HeLa cells with intact HR pathways. In the present paper, we reported the synthesis of some new urea and carbohydrazide derivatives from methyl 6-aminopyridine-3-carboxylate. The synthesized compounds were evaluated for their cytotoxic activity. Our data indicate that 3a-d are more selective to cancer cells compared with nontumoral fibroblasts; however, these compounds are not more potent on HR defective cells with BRCA mutants. 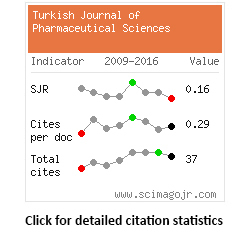 This study was supported by TÜBİTAK 215S112 and Marmara University Scientific Research Commission (project number: SAG-C-DRP-100616-0260). Nepali K, Sharma S, Sharma M, Bedi PM, Dhar KL. Rational approaches, design strategies, structure activity relationship and mechanistic insights for anticancer hybrids. Eur J Med Chem. 2014;77:422-487. Liu Z, Wang Y, Lin H, Zuo D, Wang L, Zhao Y, Gong P. Design, synthesis and biological evaluation of novel thieno[3,2-d]pyrimidine derivatives containing diaryl urea moiety as potent antitumor agents. Eur J Med Chem. 2014;85:215-227. Horowitz S, Trievel RC. Carbon-oxygen hydrogen bonding in biological structure and function. J Biol Chem. 2012;287:41576-41582. He H, Wang X, Shi L, Yin W, Yang Z, He H, Liang Y. Synthesis, antitumor activity and mechanism of action of novel 1,3-thiazole derivatives containing hydrazide-hydrazone and carboxamide moiety. Bioorg Med Chem Lett. 2016;26:3263-3270. Morjan RY, Mkadmh AM, Beadham I, Elmanama AA, Mattar MR, Raftery J, Pritchard RG, Awadallah AM, Gardiner JM. Antibacterial activities of novel nicotinic acid hydrazides and their conversion into N-acetyl-1,3,4-oxadiazoles. Bioorg Med Chem Lett. 2014;24:5796-5800. Altıntop MD, Özdemir A, Turan-Zitouni G, Ilgın S, Atlı Ö, İşcan G, Kaplancıklı ZA. Synthesis and biological evaluation of some hydrazone derivatives as new anticandidal and anticancer agents. Eur J Med Chem. 2012;58:299-307. Salgin-Gökşen U, Gökhan-Kelekçi N, Göktaş O, Köysal Y, Kiliç E, Işik S, Aktay G, Ozalp M. 1-Acylthiosemicarbazides, 1,2,4-triazole-5(4H)-thiones, 1,3,4-thiadiazoles and hydrazones containing 5-methyl-2-benzoxazolinones: Synthesis, analgesic-anti-inflammatory and antimicrobial activities. Bioorg Med Chem. 2007;15:5738-5751. Chen JN, Wang XF, Li T, Wu DW, Fu XB, Zhang GJ, Shen XC, Wang HS. Design, synthesis and biological evaluation of novel quinazolinyl-diaryl urea derivatives as potential anticancer agents. Eur J Med Chem. 2015;107:12-25. Wang W, Kong D, Cheng H, Tan L, Zhang Z, Zhuang X, Long H, Zhou Y, Xu Y, Yang X, Ding K. New benzimidazole-2-urea derivatives as tubulin inhibitors. Bioorg Med Chem Lett. 2014;24:4250-4253. Fortin S, Moreau E, Lacroix J, Cote MF, Petitclerc E, Gaudreault R. Synthesis, antiproliferative activity evaluation and structure-activity relationships of novel aromatic urea and amide analogues of N-phenyl-N’-(2-chloroethyl)ureas. Eur J Med Chem. 2010;45:2928-2937. De P, Baltas M, Lamoral-Theys D, Bruyere C, Kiss R, Bedos-Belval F, Saffon N. Synthesis and anticancer activity evaluation of 2-(4-alkoxyphenyl)cyclopropyl hydrazides and triazolo phthalazines. Bioorg Med Chem. 2010;18:2537-2548. Kurumurthy C, Veeraswamy B, Sambasiva Rao P, Santhosh Kumar G, Shanthan Rao P, Loka Reddy V, Venkateswara Rao J, Narsaiah B. Synthesis of novel 1,2,3-triazole tagged pyrazolo[3,4-b]pyridine derivatives and their cytotoxic activity. Bioorg Med Chem Lett. 2014;24:746-749. Ghorab MM, Alqasoumi SI, Abdel-Kader MS, Alsaid MS. Utility of L-Norephedrine in the semisynthesis of novel thiourea and thiazolidine derivatives as a new class of anticancer agents. Acta Pol Pharm. 2014;71:615-623. Jha KK, Samad A, Kumar Y, Shaharyar M, Khosa RL, Jain J, Kumar V, Singh P. Design, synthesis and biological evaluation of 1,3,4-oxadiazole derivatives. Eur J Med Chem. 2010;45:4963-4967. Lu C, Tang K, Li Y, Li P, Lin Z, Yin D, Chen X, Huang H. Design, synthesis and evaluation of novel diaryl urea derivatives as potential antitumor agents. Eur J Med Chem. 2014;77:351-360. Bryant HE, Schultz N, Thomas HD, Parker KM, Flower D, Lopez E, Kyle S, Meuth M, Curtin NJ, Helleday T. Specific killing of BRCA2-deficient tumours with inhibitors of poly(ADP-ribose) polymerase. Nature. 2005;434:913-917. Farmer H, McCabe N, Lord CJ, Tutt AN, Johnson DA, Richardson TB, Santarosa M, Dillon KJ, Hickson I, Knights C, Martin NM, Jackson SP, Smith GC, Ashworth A. Targeting the DNA repair defect in BRCA mutant cells as a therapeutic strategy. Nature. 2005;434:917-921.